Many people is now accessing Internet to browser and surf the website using publicly available WiFi wireless connection in Wi-Fi hotspots worldwide. These public Wi-Fi hotspot Internet access gives much convenient to users, but has major security concern as the data transmission is unsecured and unencrypted. The user data that passing through the Wi-Fi router in clear text format can easily be sniffed using packer sniffer by malicious hackers or identify thieves. 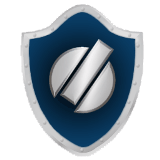 XeroBank Browser (previously known as Torpark) is a portable secure anonymous web browser with built-in Tor access that supports use on portable media such as a USB flash drive, which can also be used on any hard disk drive (desktop or notebook PC). xB Browser works by creating a secure and encrypted VPN (Virtual Private Network) connection to Tor routers, and then routing Internet traffic through several “onion” servers, obscuring the originating address. Thus, user can securely and anonymously surf the internet without fearing of local interception, and bypass firewalls and website censorship. And for enhanced privacy, xB Browser automatically clears surfing history and deletes cookies when you close the browser. The main advantage compared to other anonymous web browsers is that xB Browser requires no configuration or technical knowledge in order to achieve anonymity and fix security loophole in public network. xB Browser is built based on Firefox web browser. It also includes xB Mail, a secure email client that encrypt e-mail messages with GPG encryption and support anonymous messaging, and xB VPN which is the core software for channeling all your internet traffic through XeroBank. xB Browser, xB Mail, and xB VPN are distributed in the XeroBank Installer. Just download the latest version of XeroBank Installer (no longer available), and install to your PC or USB drive. Update: xB Browser is no longer updated.